Sometimes, storms in South East Queensland are so ferocious they can have us hiding underneath the dining table, clinging onto our loved ones for dear life wondering when this fury is finally going to end. And then, like the flick of a switch it’s gone, there’s a smell of fresh rain in the air and the calm ‘after’ the storm officially kicks in. The adrenaline engulfs us from the amazement of what has just been. For most, we are overcome with the sheer relief that we managed to escape completely unscathed. But sometimes, mother nature isn’t so kind and leaves us with a nasty clean up job in its aftermath. For us Brisbane locals, that all sounds too familiar. We know what terrible mess and chaos a storm can cause. So, we need to be sensible and ensure our homes are well prepared. 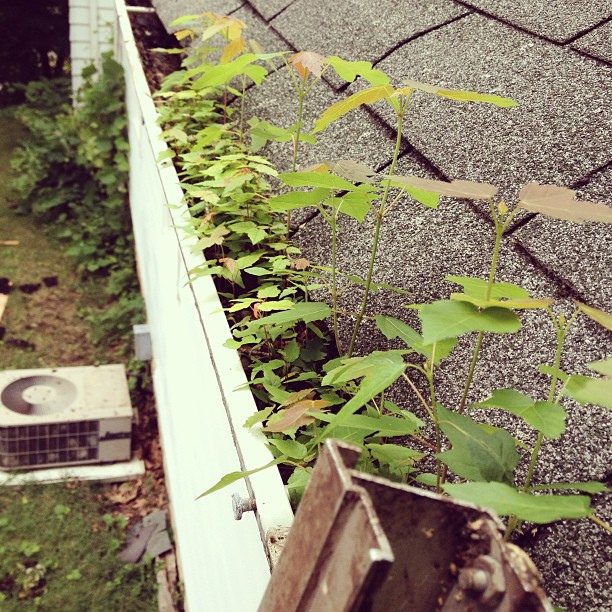 One of the many things at the top of the list to prepare your home for storm season is to clean your gutters. So, if you’re thinking about donning the gloves and climbing your way up the ladder then good on you! Our expert handyman Ash from Ashley’s Maintenance Services has come on board to share with us his top 7 tips to clean your gutters; the safe way! 1. Look Up Before You Climb Up! Your safety is the most important thing. 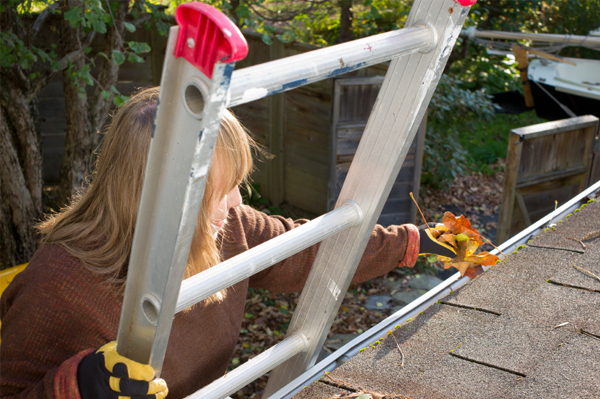 So, before you go scurrying your way up your trusty ladder be sure to check for overhead powerlines first. Ash always checks the local weather forecast before starting. 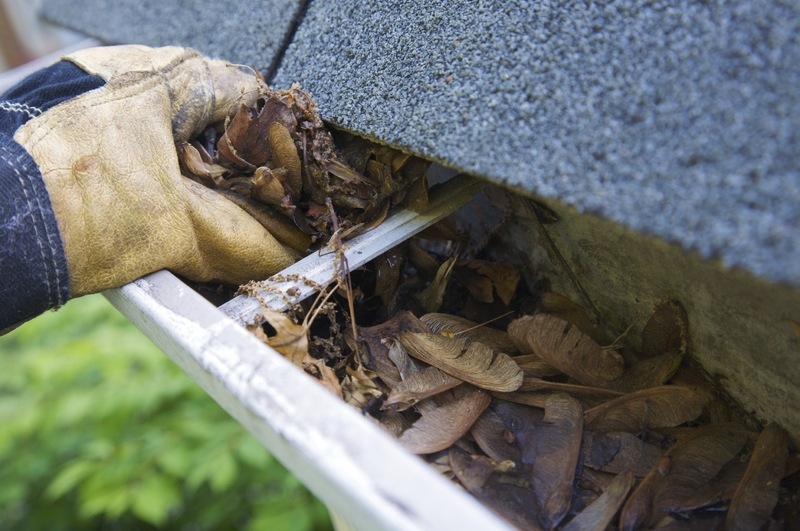 He typically finds that the mornings are a better time to clean your gutters than the afternoon as it is typically less windy. If you can have someone else there to hold the ladder for you, that would be ideal. At least have someone at home on call in case you do need some assistance from up above. You’re more stable on the ladder than you are trying to clean the gutters from the roof. Just clean the area within your reach from the ladder then move the ladder to your next spot. This is a much safer option than standing on the roof. Ash tells us that this Cyclone Gutter Cleaner from Bunnings is the best tool for the job and will make your life a lot easier. Also, a pair of gloves and a lightweight bag for you to put all of the leaves & debris into. You can then reuse these leaves as mulch on your garden. Once again, check the forecast and try to clean the gutters the day before rainfall is predicted. The rain will help to wash away an excess leaves etc that you couldn’t quite get to. While you’re up there, have a look down your drainpipes to make sure they’re clean too. Clogged drainpipes will give you no end of dramas. If they are clogged, stick your hose down them to flush them out. If you’re Brisbane based, we highly recommend that you sign up for the Brisbane City Council’s Early Warning Alert Service. This service “provides free early warning alerts for Brisbane residents and visitors. The alert service, powered by Weatherzone, is intended to provide advance warning of severe weather or other public safety events to help prepare and protect people and property. 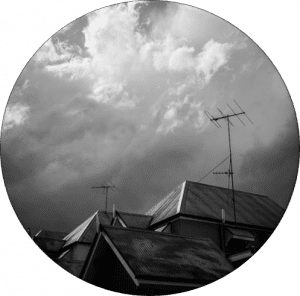 For further tips on how you can prepare your home for storm season, check out the Brisbane City Council’s Be Prepared site.